At the beginning of the year, TV personality Hong SukCheon mentioned that he is related to a SM rookie idol and it turns out that the person related to him is TaeYong from NCT! 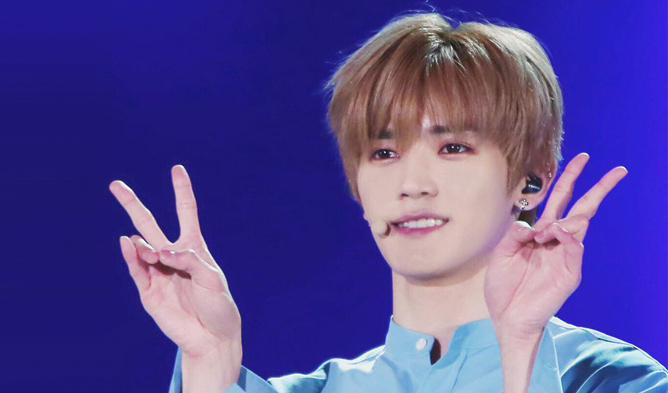 During his appearance on Channel A “Heard It Through the Grapevine” earlier in January this year, he revealed that TaeYong is the cousin of his cousin’s son. Although he did not meet him personally before, he had hoped that he would be able to meet him one day. Both of them finally met up with each other on April 24th and Hong SukCheon posted pictures of them together on his Instagram. Both were smiling happily into the camera and it seems like TaeYong had also gifted Hong SukCheon with NCT albums! On the post, Hong SukCheon revealed that they had dinner together and talked about things from the past and about the future. He ended the note sweetly by saying that he is proud of him and wishes that he would have a safe and healthy music promotion. Fans are loving how sweet and supportive both of them. Currently, NCT 2018 is promoting ‘Black on Black’.